The Antelope Canyon is a slot canyon located in Page, Arizona. Its granduer beauty makes it one of the most breathe taking views I ever seen. 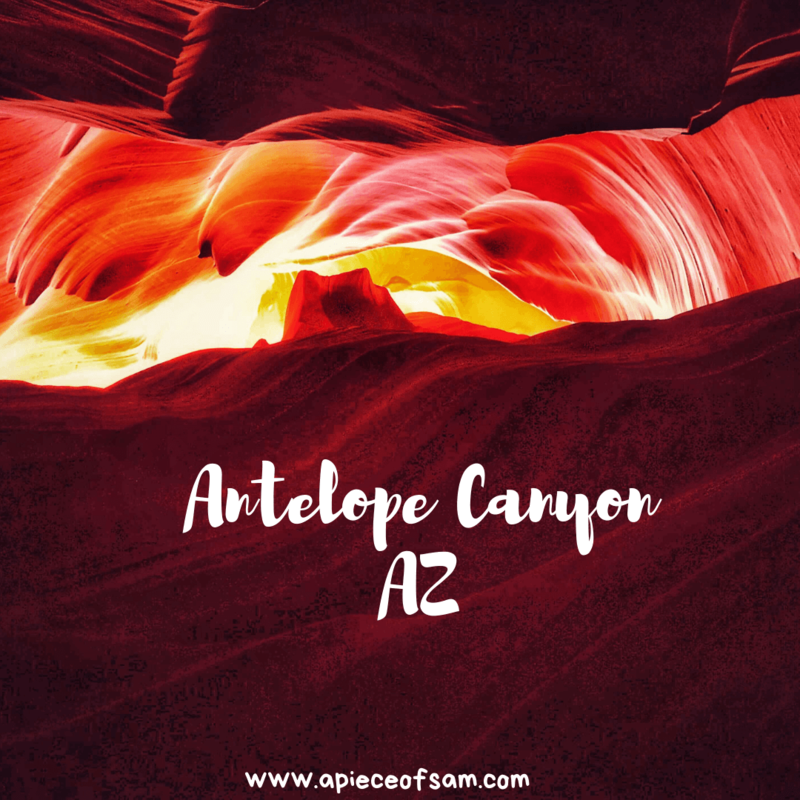 I truly felt a tug with mother nature after my visit to the Antelope Canyon, the hidden gem. The Antelope Canyon is only accessible through a guided tour by a tribal member from the Navajo Nation. The Antelope canyon is considered sacred ground and they aim to keep it as less intrusive as possible. We made reservations and got a ride to the slot canyon, where our very informed and patient tour guard took us through the canyon. We were adviced not to write or try to leave imprints on the rocks. The tour guard explained why it was very imperative that they protected the purity of the canyon. Our tour guard said someone once spread the cremated remains of a family member and they had to shut down the canyon to perform some cleansing rites…yup! you read that right! They take it that seriously for obvious reasons. The Antelope canyon is magnificent. I couldn’t wrap my head around the hype of making reservations 6 months prior and then having a guided tour. Why couldn’t we just go by ourselves as it was with other parks? Anyhoo, I tagged along not expecting much but i was astonished (as we had just seen the Grand Canyon). What could be more right? Boy…was I wrong! It does’t look like much from the outside, but this canyon offers unsual scenery that make you feel like you walked into an art gallery filled with abstract paintings. This canyon was formed over million of years ago by water erosion mainly from flash flooding and rainstorms. Rainwater, especially during monsoon season, flows like a maelstrom, carrying in its wake sand and spiralling through the narrow passageway (the power of water!). Overtime, the passageway eroded deeper creating the canyon and leaving the hard rock looking magnificient. It was a grazing area for mountain sheeps before it was opened it up for tourism, contrary to the widely perceived assumptions that there were antelopes. #facts! The Antelope Canyon has two separate scenic slot tours. They are referred to as the lower and upper canyon. We visited the upper canyon. I hear the lower canyon is equally gorgeous. The upper level is the ground level which involves less climbing. We visited the Antelope Canyon in January. I gathered its even better in the warmer months because of the beams that are created by sunlight. We still got value for every dollar though. Our tour guard gave us insights and history of the canyon as we walked in. She knew where to take the best pictures as photography in the canyon is a bit tricky due to limited lighting and shadows. She described every shape in the canyon as we went by. This photo was described as “wall of fire” doesn’t it just look like exactly that way? Of course the wall is not on fire but the strategic reflection of the sun on the canyon produces the illusion as though it was. Amazing ain’t it? It actually looks like an eye of a dragon. Its amazing how the sun reflects in this canyon. This rock is shaped like a heart… or so said my tour guard.😂 Every view in this slot canyon looks like a unique abstract painting. Isn’t that cool? Did you see it? Did you? 😂😂We were told that this shape looked like a guitar. I didnt see a guiar though, is it just me? Did you see a guitar? I couldn’t make out all the shapes described by the tour guide but oh well! It was beautiful, so I took pictures. The tour lasted for about forty minutes and it was educating and entertaining. We spent some of our vacation In Las Vegas but also wanted to be in touch with nature. We explored most of Arizona and all I can say is you should absolutely plan a trip to Arizona. Where have you visited lately? Don’t get too busy for a vacation…live a little! It was one of the awesome things i ever seen.. thanks for sharing this experience with me!